We are pleased to announce that during UT Austin’s annual day of giving, “40 Hours for the Forty Acres,” the Longhorn Alumni Band Charitable Fund committed $1,240,000 to the University of Texas at Austin Butler School of Music, including a $600,000 general scholarship fund along with nineteen named scholarship funds all geared to support Longhorn Band students. This is one of the largest single gifts made to benefit the students in The University of Texas Longhorn Band in it's history. “The impact of this gift will be felt immediately by many deserving students,” said Scott Hanna, Director of the Longhorn Band. 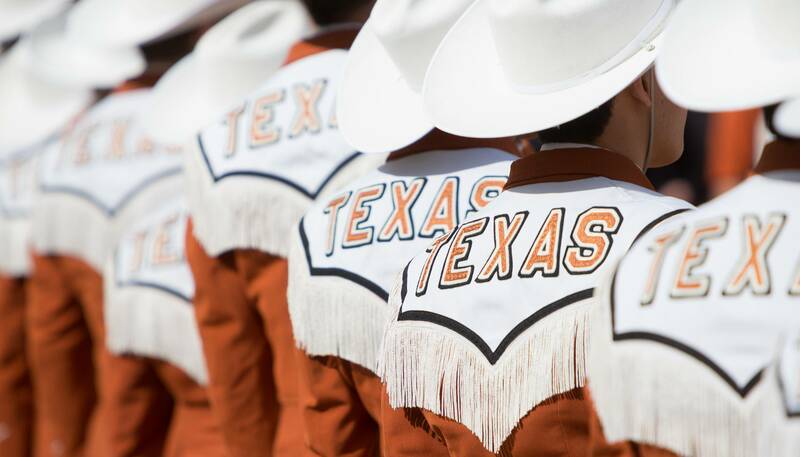 The Longhorn Alumni Band Charitable Fund plans to continue growing their general scholarship fund annually, along with supporting other key programs in the Longhorn Band. This investment moves the band closer to their long term goal of having scholarship support for every student in the Longhorn Band. “We are incredibly proud of our Longhorn Band alumni. Their record of giving and stewardship is a model for the university’s entire alumni base,” said UT Austin President Gregory L. Fenves. The university will release their official announcement of this gift tomorrow morning.